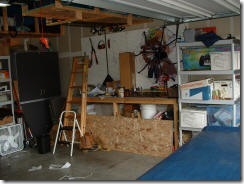 Before you get over ambitious and start tearing apart your Mustang you should evaluate your workspace. 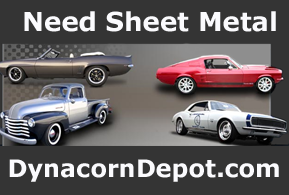 You are going to need some room to work on your classic Mustang. 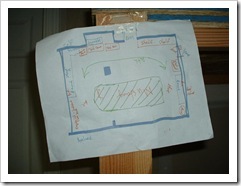 First, you need to decide where on the floor you want to work on your project? 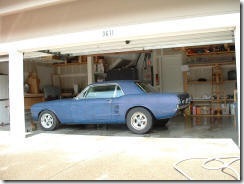 Your Mustang should be positioned so that you have plenty of room to open the doors and ample room to remove and replace the engine. 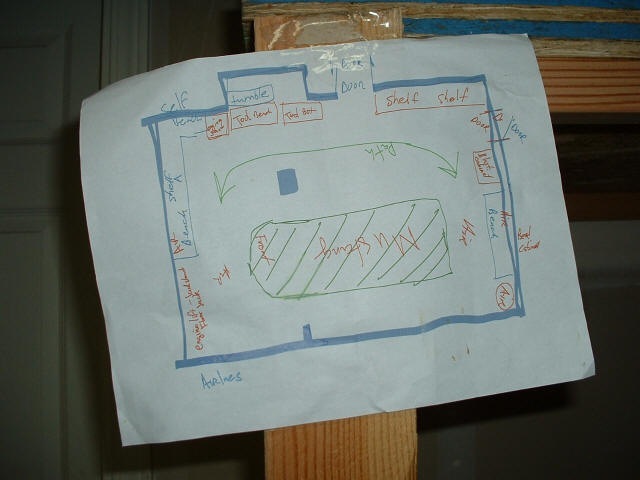 To get an idea of the possibilities for your workspace, grab a pencil and paper and sketch out a few “best case” floor plans. Keep in mind that a disassembled Mustang will require twice the amount of space as an assembled one. You will also need to factor in shelf space for the parts. If you donʼt have enough room, you may want to consider a new location for the restoration or putting the disassembled parts into storage. 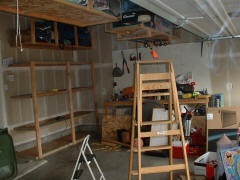 The second most important thing is shelves and workbenches. Aside from shelving old parts you will also need space for new and restored parts and sub-assembled parts, so plan on having at least 6-9 shelf spaces. A work bench is a must in any shop; assembling parts on the shop floor may leave you unmotivated to come back and do it again for another afternoon, so make sure you set aside an area for a decent size work bench. 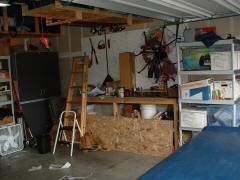 Tools and equipment will also need an area where they are accessible. 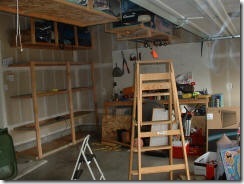 You may consider putting your tool box on your workbench and placing the floor jack and jack stands under the workbench. Having enough workspace for your project will not only make it a better and more productive experience; it will prove to be most crucial when it is time to reassemble you Mustang, so plan ahead and keep your work space clean and organized.